If you’re living in India and like watching television then you must be aware of TRAI’s new policy for DTH operators. This policy offers DTH subscribers the flexibility to create their own DTH pack and pay only for channels they want to watch. The customers, however, have to pay a fixed base tariff which TRAI calls “Network Capacity Fee” (NCF). You can go through our recent article to know about NCF charges in detail. 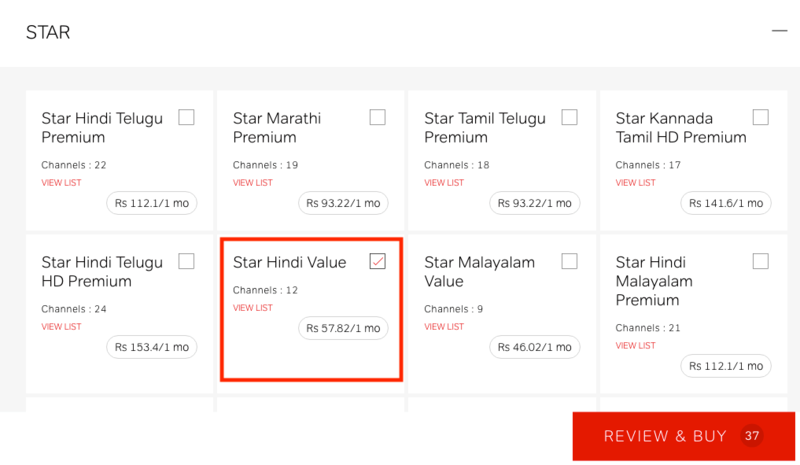 To customize your own Airtel DTH pack, one can choose a bouquet and individual pay channels as well. In this guide, we’ve listed the step-by-step procedure to select channels as per TRAI in Airtel DTH. Visit airtel.in/s/selfcare and log into your airtel account. If you’re not registered already then register using your registered mobile number. 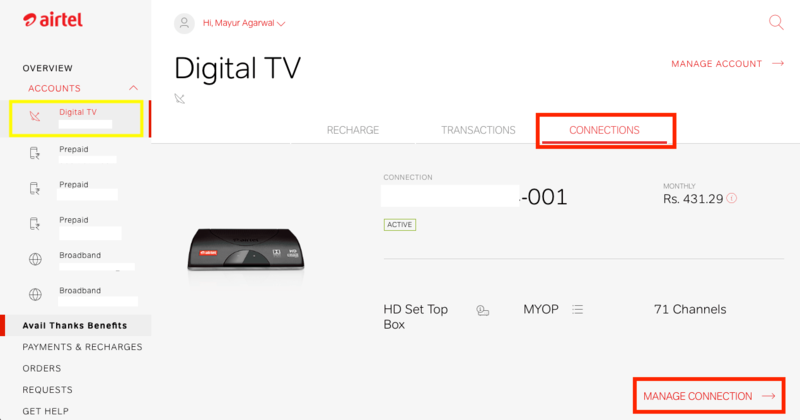 Under the accounts section, select your Airtel Digital TV account. Click on the “Connections” tab and select the “Manage connection” option for the DTH connection you want to manage. 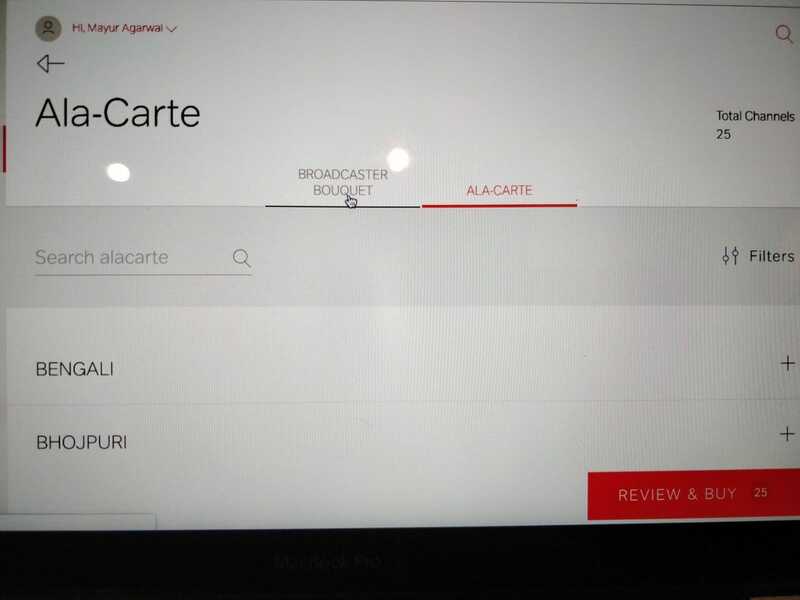 On this webpage, you will find the “Broadcaster Bouquet” and “Ala-Carte” option. 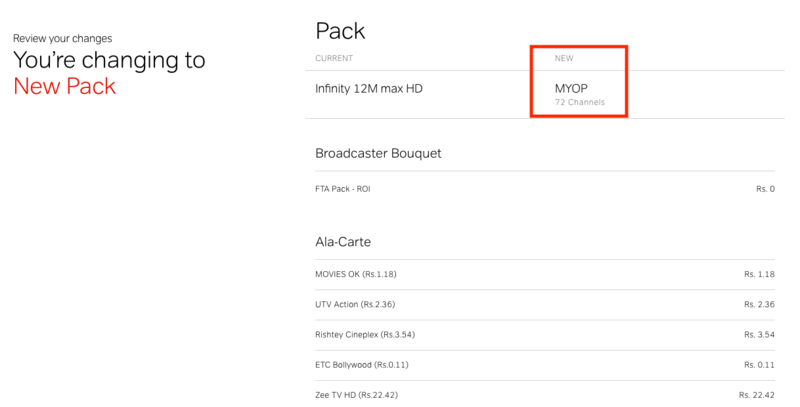 If Airtel shows you recommended packs, then simply choose the “Create your own pack” option. Now choose your favourite channels from either the bouquet or ala-carte. One can also selectively pick a broadcaster bouquet as well as individual channels (via ala-carte) that aren’t available in the chosen bouquet. To pick a bouquet, click the broadcaster bouquet tab. Here you can filter the broadcasters by search or selecting the preferred genres such as Disney, Sony, Star and more. 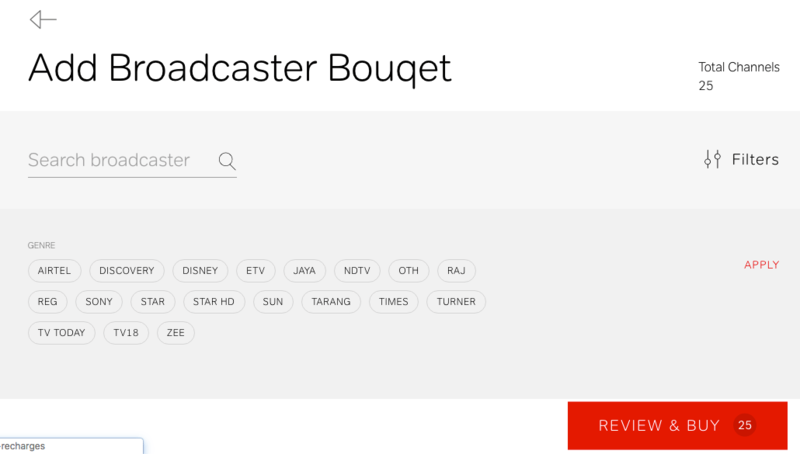 Under the selected broadcaster you’ll find several bouquets aka value packs listed. The list shows Standard Definition (SD) as well as High Definition (HD) packs from several regional languages. Every package clearly lists the number of channels included and their monthly tariff inclusive of 18% tax. Tip: Click on “View list” to see the included channels along with their format and channel number. Carefully select the bouquet you want by ticking the checkbox. If you want to choose individual pay channels that aren’t a part of selected bouquet then click the “Ala-carte” tab. To make channel selection under ala-carte easier, click on “Filters” option and select the genres you prefer. Now select the individual channels by selecting their checkbox. Upon selecting a bouquet or individual pay channels, you’ll notice that the channel count in the “Review & Buy” box changes in real-time. Note: By default 25 channels of Doordarshan are pre-included in your DTH pack which can’t be removed. 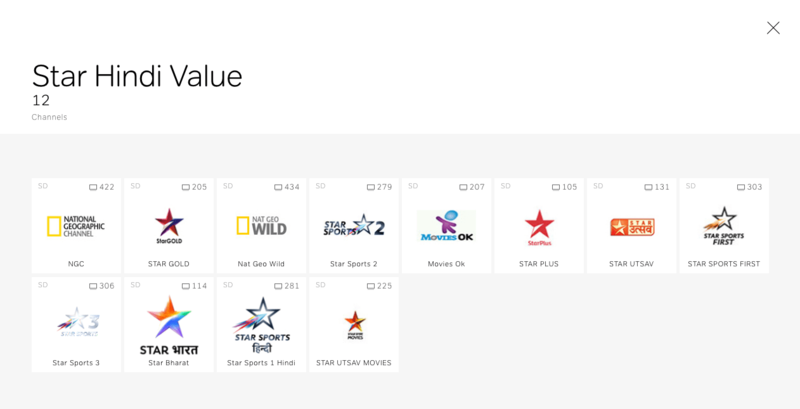 In ala-carte, you can also choose 75 free-to-air (FTA) channels that are listed with a tariff of Rs. 0. 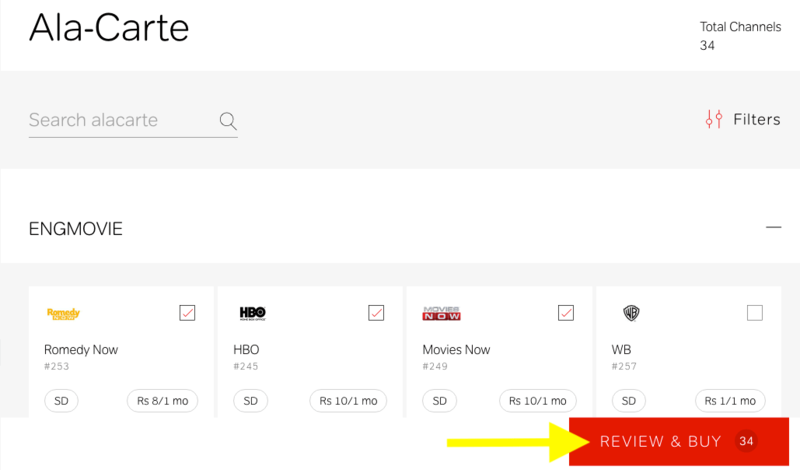 After selecting all the channels, click on the “Review & Buy” option. 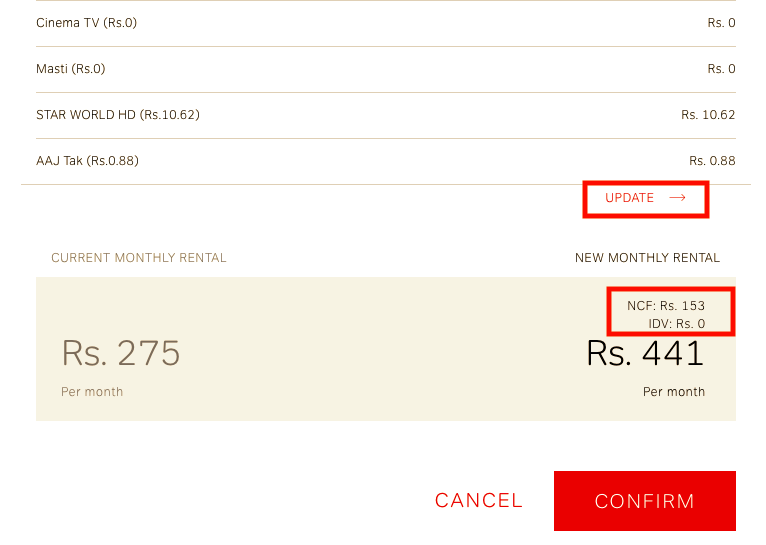 On the new webpage, Airtel will show all the pay channels or bouquet selected by you along with their price. Review your customized DTH pack and click the “Update” option if you want to make any changes to your new DTH plan. The page will show your current as well as new monthly rental. Note: The final tariff for the new plan includes an NCF of Rs. 153 which is mandatory for all DTH plans under TRAI new mandate. Lastly, click the “Confirm” button to change your pack. (Make sure your Set-Top box is turned on at this time). That’s it! Airtel will immediately switch you to the new DTH plan. Tip: You can add the channels included in your custom pack to favourites in your set-top box to make them easier to access.